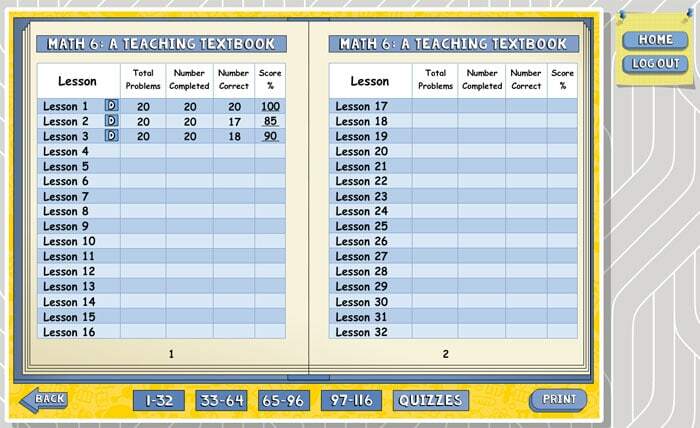 Struggling to find the right math curriculum for you non-mathy student? 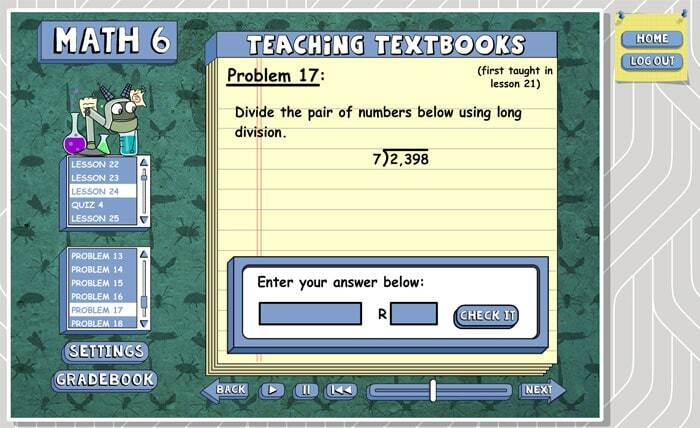 Teaching Textbooks may be the answer for you. 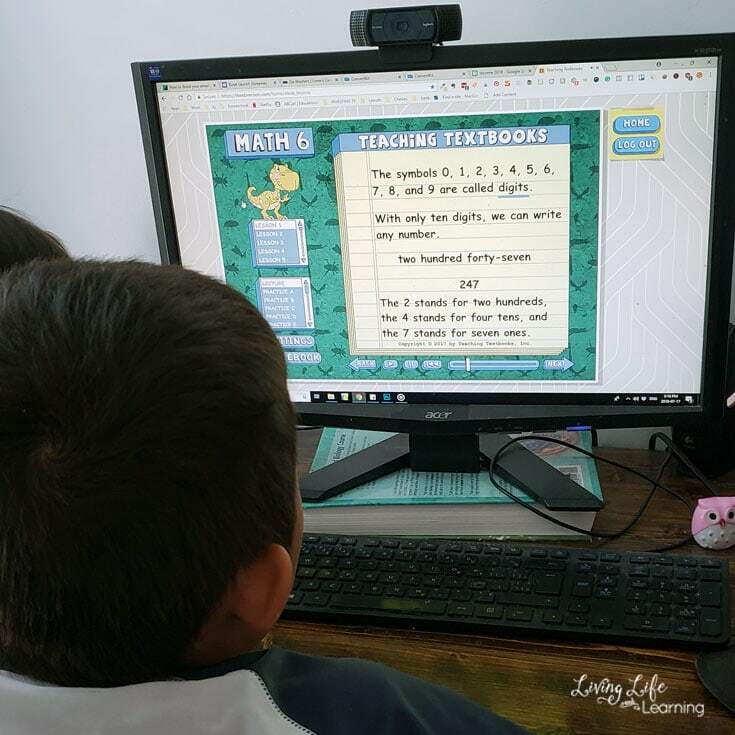 I have always struggled with math with my oldest son and we’ve changed math curricula so many times I may have tried them all. I had heard of Teaching Textbooks but because I was put off by the cost of the CDs at first, I didn’t want to spend money on it to try it out. However, this really lead nowhere. We jumped from curriculum to curriculum to see what would be the perfect option for him and there wasn’t anything out there for him. He’s a visual learner and does not do well with textbook learning. I had a friend who was using and bombarded her with questions and I decided to jump into Teaching Textbooks a level behind where my son was supposed to be so that we could iron out any gaps that he had. It was the best decision ever. Teaching Textbooks took the weight of teaching math off of my shoulders and at this point this is what we needed. It had been a source of conflict for us and using this program allowed someone else to be the teacher. I was there for support and to offer help if needed. He listened to the lecture and then did the review questions and then answer the questions. There are 20 in each lesson and about 140 lessons for each book. One of the best things is that I don’t have to grade math anymore. I can look over the scores and delete any lessons or even go in and delete a question so he can correct a few questions if needed. My oldest is using Teaching Textbooks Algebra while my younger son is doing grade 6. I had no clue where to place them but they have really good placement tests for your child to take so you can decide what grade level to use. My kids like the ability to change the background and character. It just gave it a more fun appearance. My daughter keeps asking when she’ll be able to use it. The lecture and questions are read aloud to the student which is helpful for those who are not reading well or who absorb information in an auditory way. I had started my son on Teaching Textbooks using the CDS, you don’t have to do that anymore. They have gone online and their 3.0 program is an online subscription. They also have great pricing for large families too. One of the features I’ve already had to use is the pausing feature. We’re on vacation until September so I can pause my subscription so it doesn’t use up my time limit on our course. I love this. This curriculum was responsible for bring back joy into our homeschooling since math was a source of conflict for us. It’s hands-off as a teacher and the best solution for us. The subscription comes with an ebook that you and the child can read through for better understanding. My child writes out the questions on notebook paper to work out his problems. 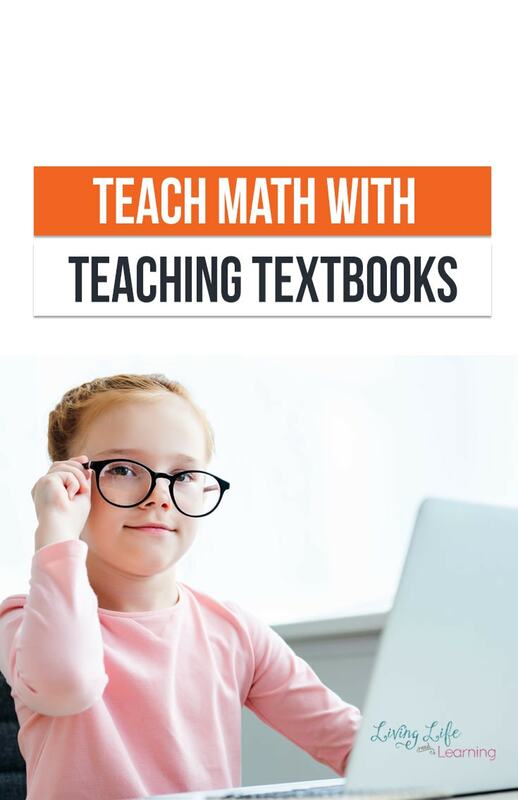 Join Teaching Textbooks and save your math sanity! 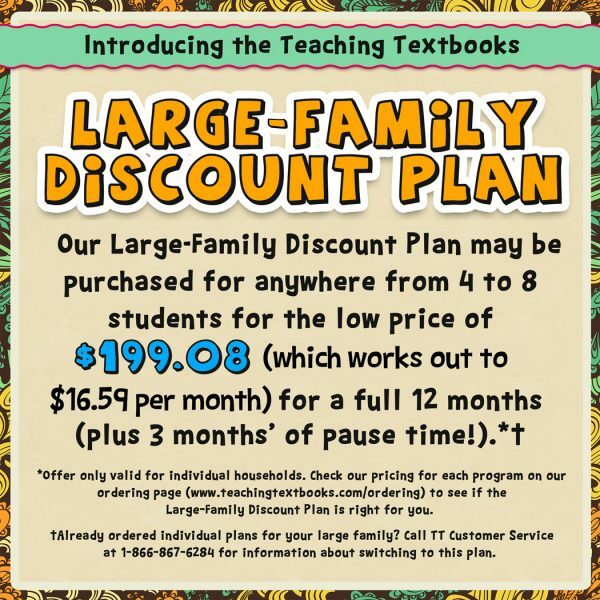 Want to try Teaching Textbooks for yourself? Be sure to enter the giveaway below! 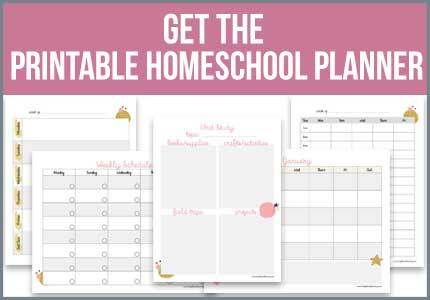 « The DIY Printables for Teachers and Homeschoolers Course is Now Available! he gets so frustrated he doesn’t want to try any more. My #1 struggle is getting the concept across. I have trouble explaining so my daughter understands. My biggest struggle is buying the next year’s curriculum on a tight budget. My biggest struggle is motivating my son to complete math- it is hard to explain its usefulness when I don’t use it much myself! Finding something that explains things well and is easy to use. My #1 struggle with teaching math is my kids think they know it all and don’t want to listen. I Love Teaching Textbooks! Easy to use and understand, Fun for my daughter and has been a great confidence booster. Having immediate access to the solutions was great. After a time, doing problems on their heads became easier.